Step 1: Print/assemble pattern and cut out pieces. 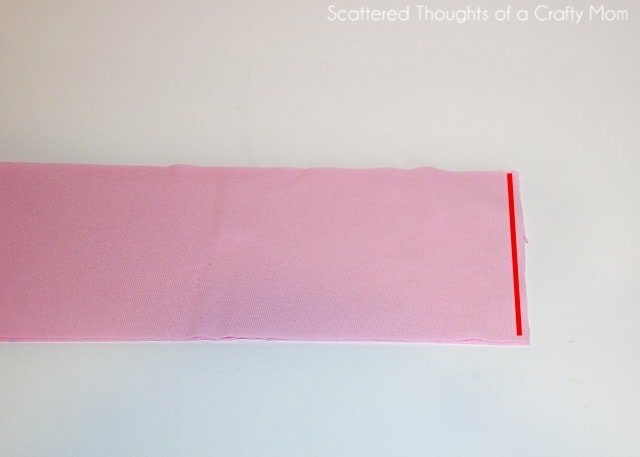 Line up the pattern on the fold of the fabric, with the stretch running side to side. Cut a front, back and 2 sleeves. 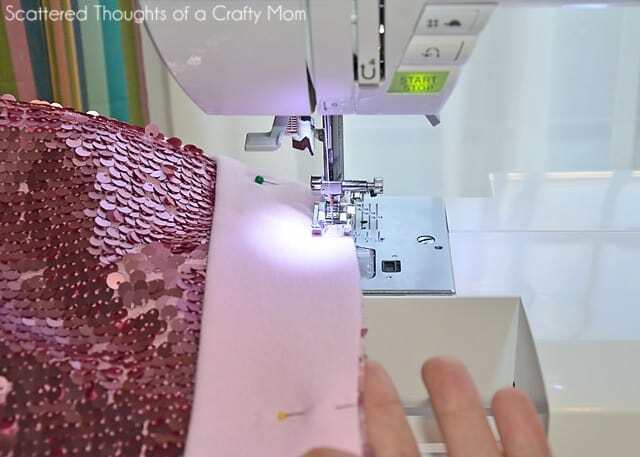 If you are adding sequined fabric, cut a 2nd front piece from the sequined fabric. 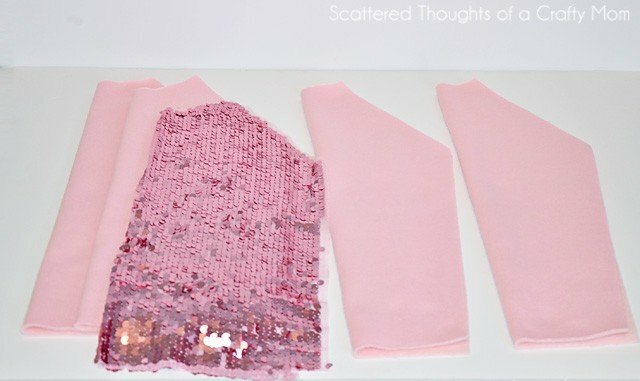 If you are not adding a sequined fabric, skip to step 2. 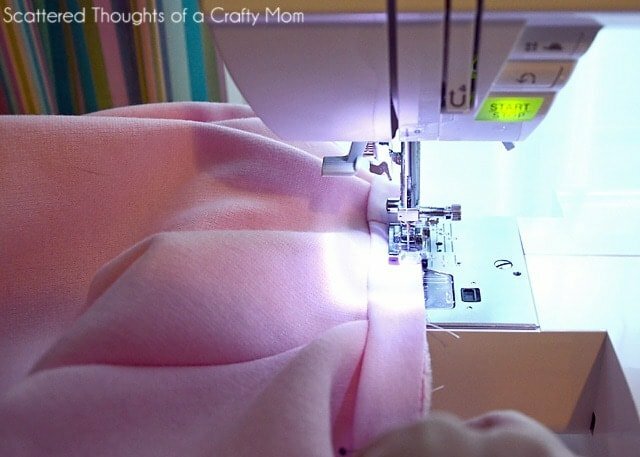 Lay the front fabric piece out on your work table right side up. 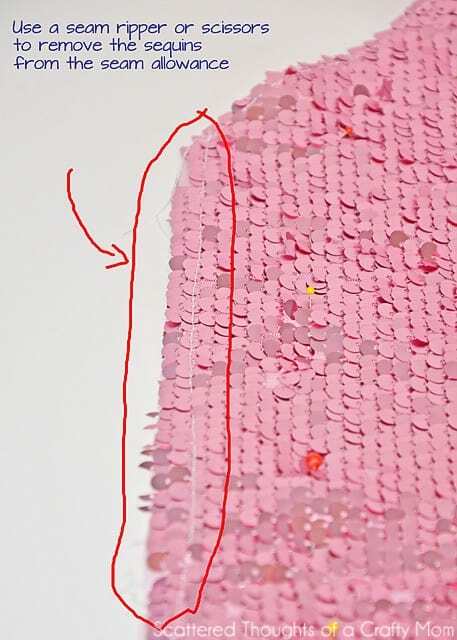 Line up the sequined front piece with the first piece, right side up as well. Pin in place and baste together using a 1/4 inch seam allowance. Line up the sleeve edges and the front tunic piece, right sides together. Pin in place and sew along the edge. 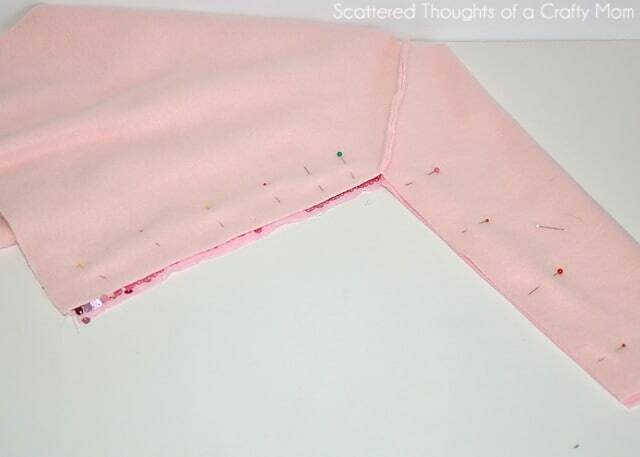 Line up the back tunic piece with the back sleeve edges, right sides together, pin and sew. Line up the front and back. 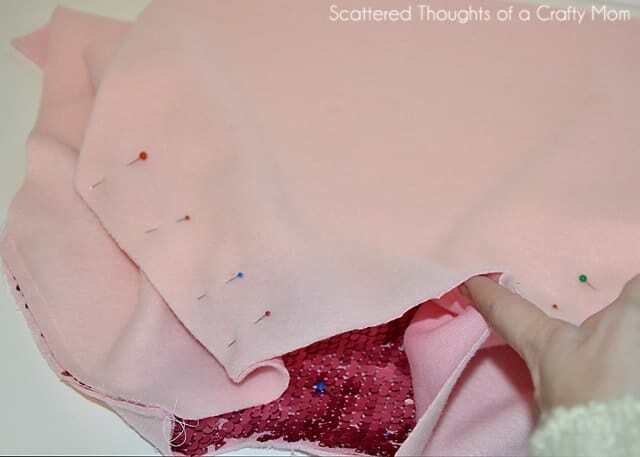 Pin together and sew, from sleeve (cuff) edge to the bottom of the shirt. Step 3: Adding the cuffs bottom band and neckband. 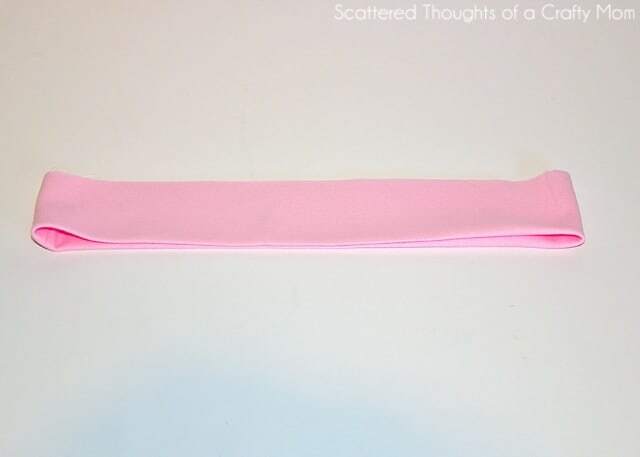 Starting with the bottom band, fold the fabric circle in half, right sides together and press. 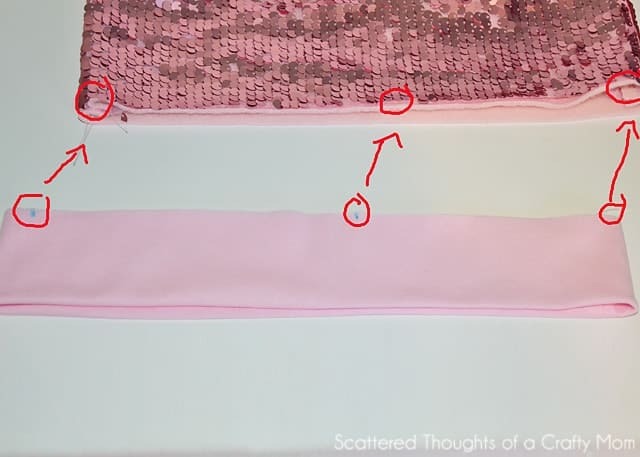 Sew along the edge with a 1/4 inch seam allowance. Gently stretching the band to fit the bottom of the tunic from quarter mark to quarter mark. 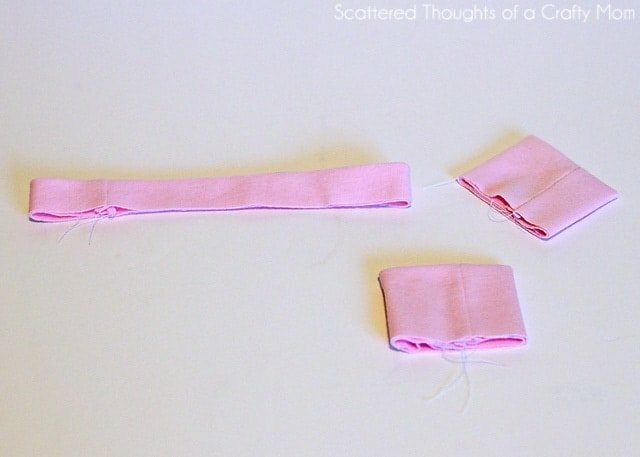 Repeat this process for the neckline and sleeve cuffs. 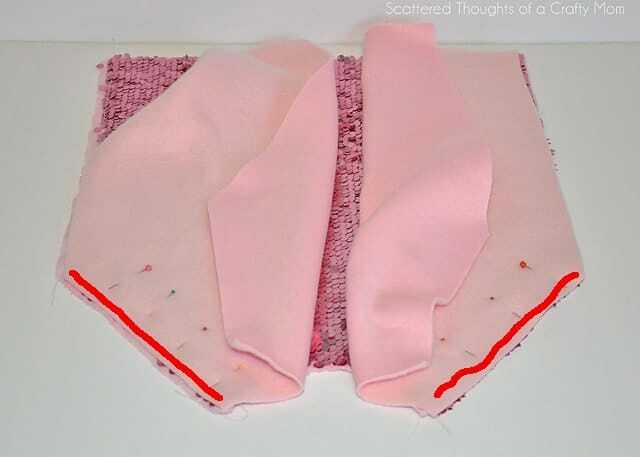 For a more finished look, you may want to gently press your seams flat and top stitch around the neck band. 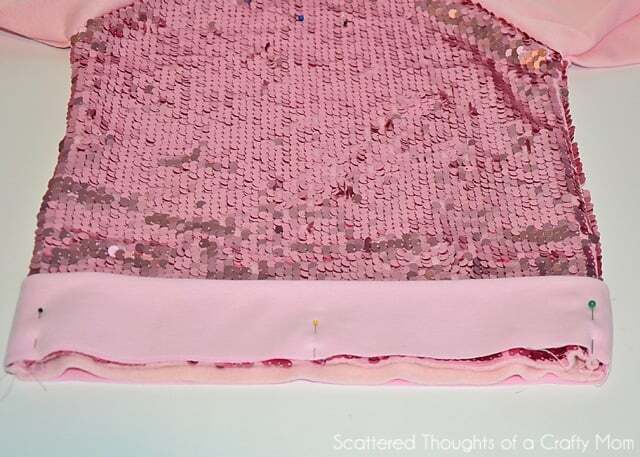 (Use caution if using sequin fabric.) 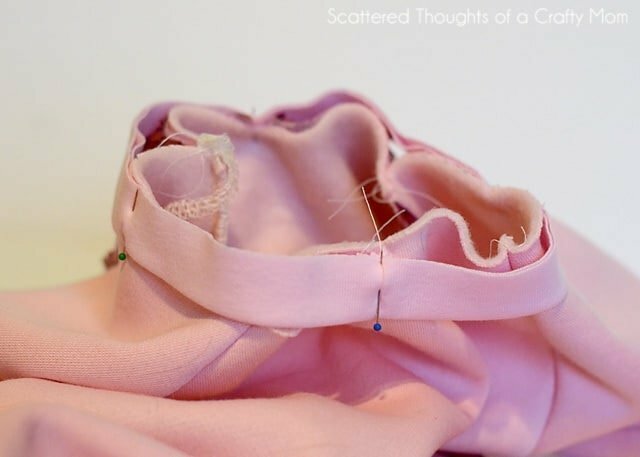 Since fleece and most knits don’t fray, it’s completely optional to finish the inside seams. If you make one, be sure to come back and share your finished top in my facebook page or tag me on instagram!